A man has been jailed for manslaughter following the death of a man in a Tooting flat. 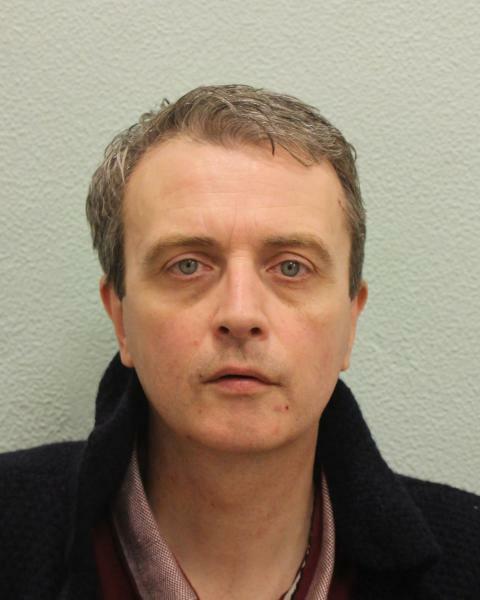 Christopher McMahon, 48 (19.08.70) of no fixed abode was found guilty on Thursday, 21 February in relation to the death of 50-year-old David Potter in Tooting. He was sentenced at the same court on Friday, 22 February to ten years' imprisonment. The court heard how David lived in a studio flat above a shop on Tooting High Street and often socialised with other drinkers in the local area. 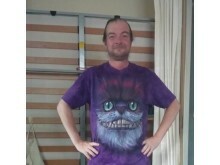 On 26, March 2018 at around 14:45hrs, one of his associates called police with concerns for David's welfare as he had not seen him for several days. He had been round to his flat but David was not answering; he also noticed mail building up outside the address. Officers forced entry to the flat and found David's body on the floor in a pool of blood - an initial assessment established he had been dead for some time. A post-mortem examination concluded he had suffered slash wounds to the neck, one of which had severed an artery. On examining the flat, officers found a number of distinctive bloody footprints on the floor. They also found correspondence addressed to a 'Christopher McMahon'. From speaking to witnesses, including the owner of the shop David lived above, it became apparent that he had last been seen on the evening of 20 March 2018. CCTV from inside the shop showed David speaking to staff before leaving at 22:45hrs and heading up to his flat. At around 23:00hrs a man, later identified as McMahon, is also captured on CCTV in the shop before heading towards the flat. The same CCTV cameras showed McMahon exiting the flat at around 02:40hrs on 21 March 2018. As David had not been seen since, the timeframe for his death became more defined. Enquiries established that McMahon was already in police custody as he had been arrested on 22 March 2018 for other offences including an incident of criminal damage at a woman's address where McMahon had kicked in her door to gain entry. Her address was near to where the murder took place. The criminal damage took place three or four days prior to 21 March 2018 and the woman told police she had seen McMahon with a knife in the weeks leading up to the fatal stabbing. Detectives attended the woman's address. She stated McMahon banged on her front door at around 04:00hrs on 21 March 2018. As he had previously kicked her door down, she let him in. On this occasion, his clothes, which were recovered unwashed from a washing machine at the address, were covered in blood and he was drunk saying repeatedly "I've done him in" and "I slit his throat". Officers also established that another man had been living with David in his flat in Tooting. He was traced and initially arrested as part of the investigation. He confirmed that he was asleep in the flat on the night of the stabbing and when he woke at about 02:00hrs he saw both David and McMahon in the flat. Around this time, David was telling McMahon about a previous conviction he had for a sexual offence. The man felt uncomfortable and gathered his clothes before leaving the premises. CCTV located outside the flat captured him leaving just after 02:30hrs - around ten minutes before McMahon left. 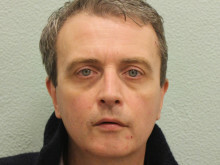 On his release from prison on 4 May 2018, McMahon was arrested on suspicion of David's murder. He refused to comment during police interview but was nonetheless charged with murder. Detective Chief Inspector Mark Cranwell of the Homicide and Major Crime Command led the investigation. He said: "The weight of evidence against Christopher McMahon was compelling and left the jury in no doubt that he was responsible for the brutal killing of David Potter. "As this investigation developed, it became clear that McMahon was an unpredictable character who used threatening behaviour to intimidate people into getting his way. "He will now spend a considerable amount of time in prison and I hope McMahon's conviction brings some sort of closure to David's family following what has undoubtedly been a horrific time for them."